As every parent knows, kids grow up fast. 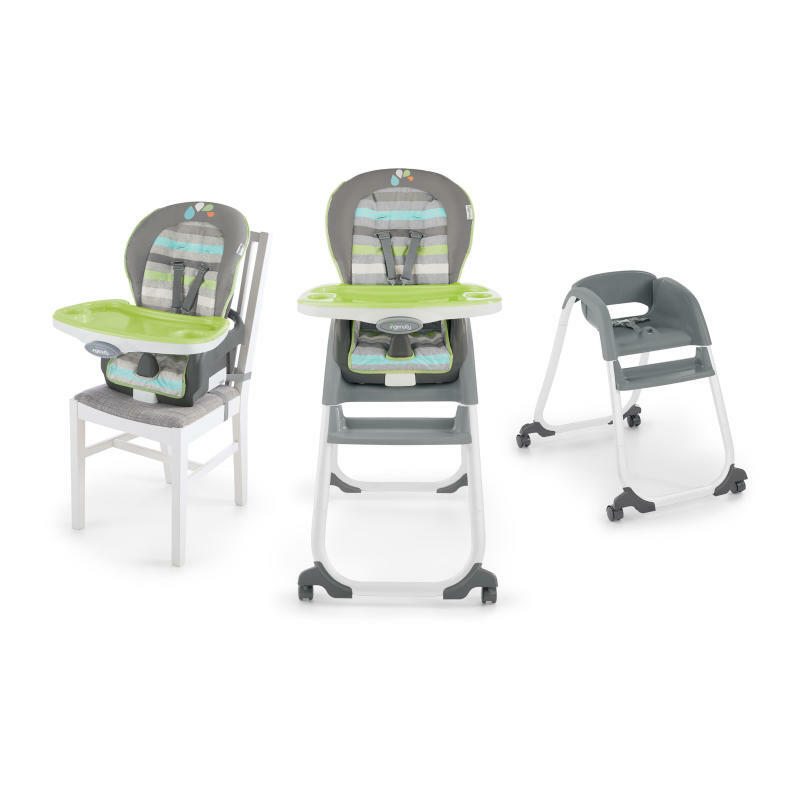 The Ingenuity Trio Elite 3-in-1 High Chair easily adjusts from full-size high chair to booster seat to toddler chair. The convertible high chair wipes clean instantly, the removable tray is dishwasher safe, and the seat pad is machine washable so you can slow down the clock by spending less time on kitchen cleanup and more time with your family. The dishwasher-safe EasyClean tray also features four locking positions to grow with your baby. And as your family expands, it can too. When used as a booster and toddler chair, it can seat two children at the same time. The sleek metal elliptical frame and neutral colors of this modern high chair are designed to complement the décor of any home. Three must-have baby seats in one! Full-size high chair, booster seat and toddler chair! Booster and toddler chair modes accommodate 2 children at once - perfect for siblings! Dimension (in) 33" x 22" x 44.5"
Seat pad - Machine wash with cold water, gentle cycle.Tray – Dishwasher Safe. Wipe clean with a soft, clean cloth and mild soap.Frame – Wipe the metal frame with soft, clean cloth and mild soap.Harness/Straps – Machine wash with cold water, gentle cycle. No bleach. Air Dry.